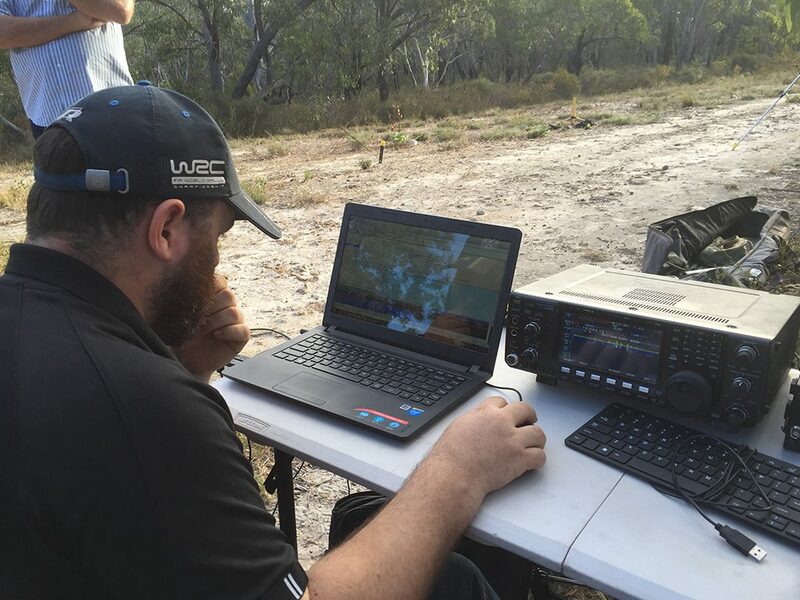 The AREG team tried something new on Sunday April 24th 2016, operating portable from the Morialta Conservation Park just east of Adelaide in the Polish Radiovideography Club’s SPDX RTTY contest . A lot of fun was had by those members who operated and visited us during the activation. 29 valid contacts were made including 5 out of 17 Polish provinces. Andy VK5AKH provided the bulk of the station equipment and was assisted by Grant VK5GR, Dennis VK5FDEN, Gary VK5FGRY and Mark VK5QI in setting up the station in the early afternoon. By the time we were ready to go, long path Europe was already open, and the first station we called answered on the first try. 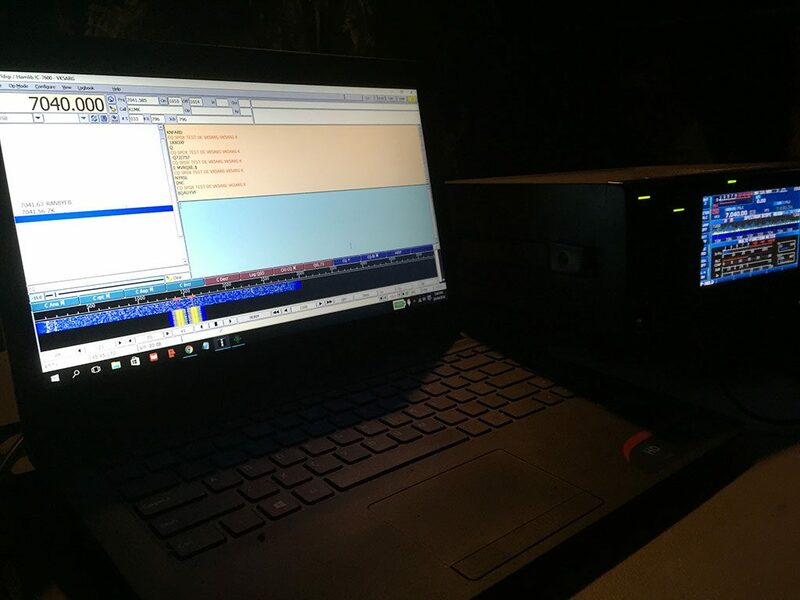 We were running an IC7600 at about 90W FSK power with the HexBeam and the Fl-Digi software for RTTY. We also experimented with the GRITTY software which has some advanced decoding capabilities. 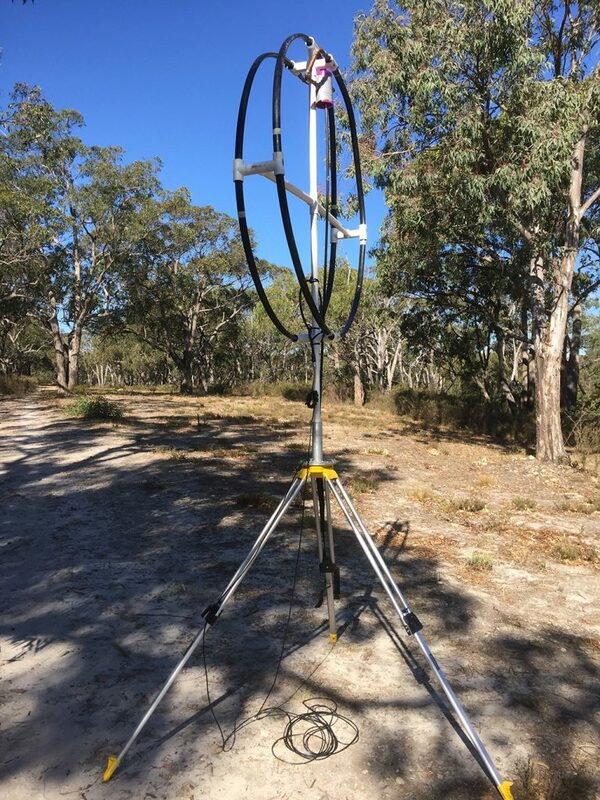 Steve VK5SFA also brought along his new 40m magnetic loop antenna for us to experiment with. We were very impressed with it’s noise performance and efficiency for such a small antenna. While we were working 20m RTTY long path EU, Matt VK5ZM, Gary VK5FGRY and Mark VK5QI experimented with the loop. 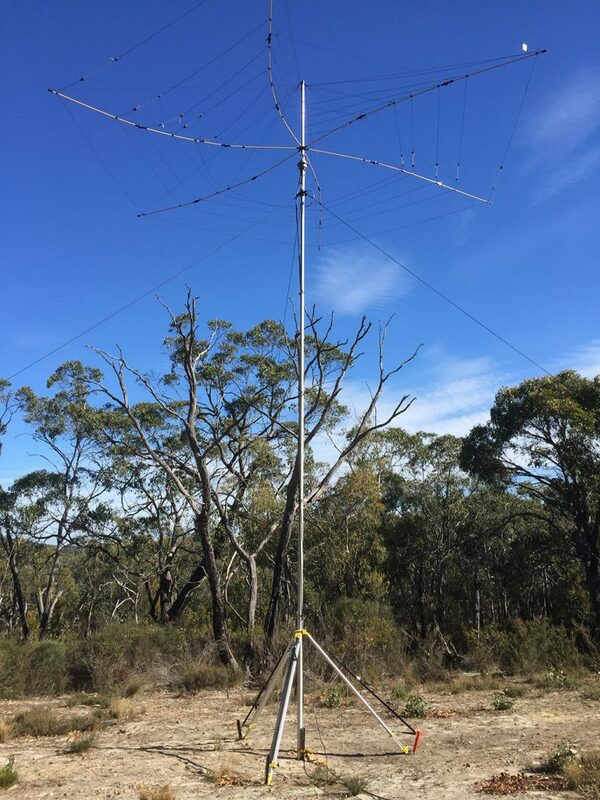 Contacts on it were had across SE Australia, including 10W to 10W to Chris VK5CP who was portable in Parachilna in the Flinders Ranges. (Stay tuned – a talk is planned at the next AREG meeting on these very unique antennas). As the RTTY contest progressed, the team attempted 15m as well with limited success before returning to 20m to close out the EU LP opening. We were then treated to the “AREG Catering Service” in the form of Sharon VK5FSAW who brought up baked potatoes and condiments, which were very welcome considering it was getting quite cold as the sun went down. Finally we dropped down to 40m and put the loop to use on RTTY. We picked up a contact with the USA – after spending a while learning how to tune it! (It is only ~3-4kHz wide). This has certainly whetted our appetite to try another attempt at RTTY later in the year (perhaps the CQ WW or CQ WPX RTTY contests). A big thank you to everyone who participated and in particular to Andy VK5AKH who brought his portable HF station. This entry was posted in Contesting, VK5ARG On The Air and tagged Contesting, Portable, RTTY, SPDX, VK5ARG by VK5GR. Bookmark the permalink.